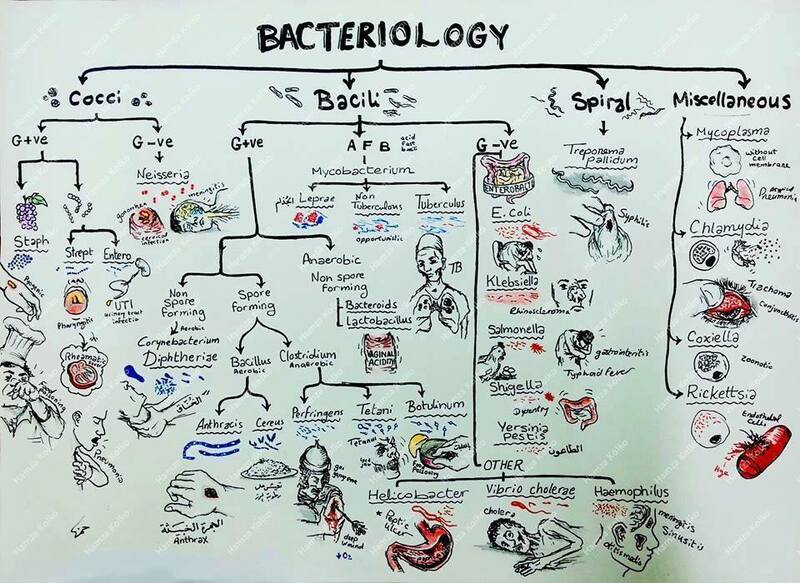 An incredible diagram on bacteriology. Remember a lot of hard details quickly and easily! This is fantastic. You have a great talent! Thanks for sharing. How can i save it? Copy link post, paste in Google Chrome or Firefox or IE and save. Great starting point for those trying to raise awareness at basic levels considering self medication and possible risks of early non-exposure. I haven't searched for their presence, but might there be a nook for Archaea? thank you , it´s a good work! This Is a great illustration. Thanks for the share. This is cool!! Helps so much! medical student - Xochicalco university, in Mexico. i think it needs some of the paranormal herb called "intoginete" the ancient herb master Shanks called : to cure an illness is like to cure a sin. Where r the detailed sections ..
medical student - Aminu kano teaching hospital, kano state. So useful! Thanks for sharing. Thank u! This is nice anyway. An excellent one glance reminder. Great work! Frank Netter 2.0. Nice job. Wonderful, i always used to struggle with this. It s very usefull. Thank u. Well presented and really easy to follow - love it! Excellent work but just one query. Was not the Bacteroids supposed to be a Gram negative Rod or Bacillus. yes u r right. they r gram negative. Great drawing skills! It'll make a nice change to see pics in patients notes which actually resemble parts of the human body! Shouldn't Mycoplasma say "without cell wall" instead of "without cell membrane"? - I made this Powerpoint presentation a while ago to help me learn/revise this topic.